And were they ever. Not only did they hold up to what I had envisioned, but they tasted exactly like the original Thin Mints. I was floored and have had the hardest time keeping them from you. No more stocking up on box after box and stretching your patience until you’re able to get your hands on another box, Thin Mint Season consists of 365 days from now on. 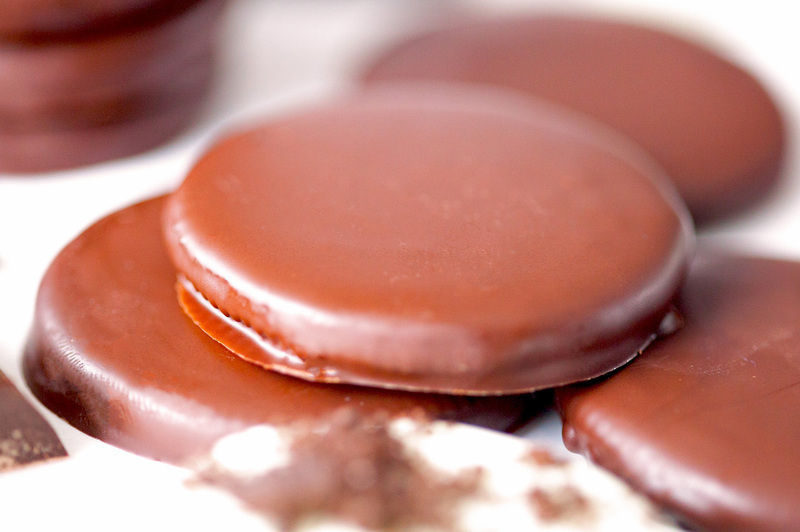 One of the best things about making these in the comfort of your own home is that you can make White Chocolate Thin Mints. How fun is that? 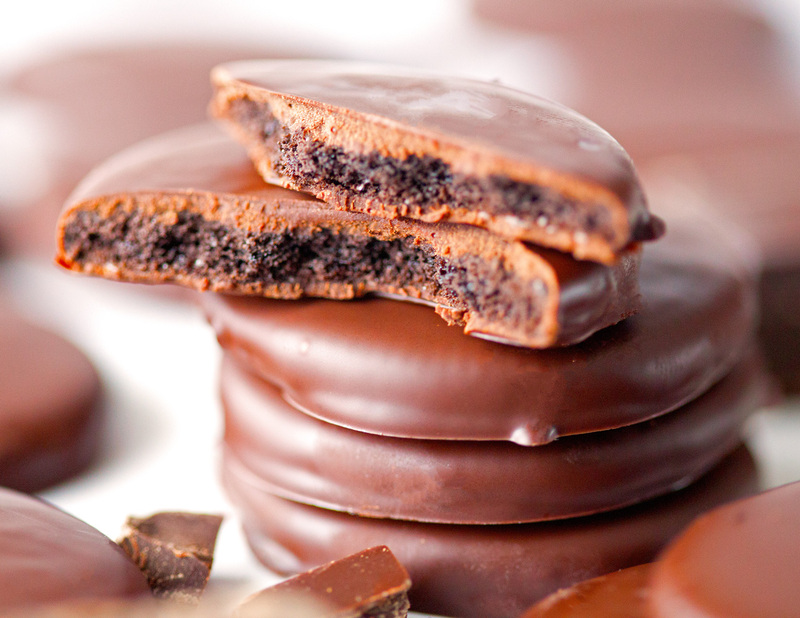 Not only do these Thin Mints taste like the real deal, but you can get really creative. Custom mint cookies are hard to beat. It is no secret that I like a challenge in the kitchen. I could and in fact frequently do spend an entire day in our kitchen baking and cooking away. It’s what I love to do. But just like everyone else, I often run out of time and need something quick and delicious. These cookies definitely fit the bill. A no-bake recipe that comes together in just a few minutes, using only 3 ingredients – oreos, chocolate and peppermint extract. 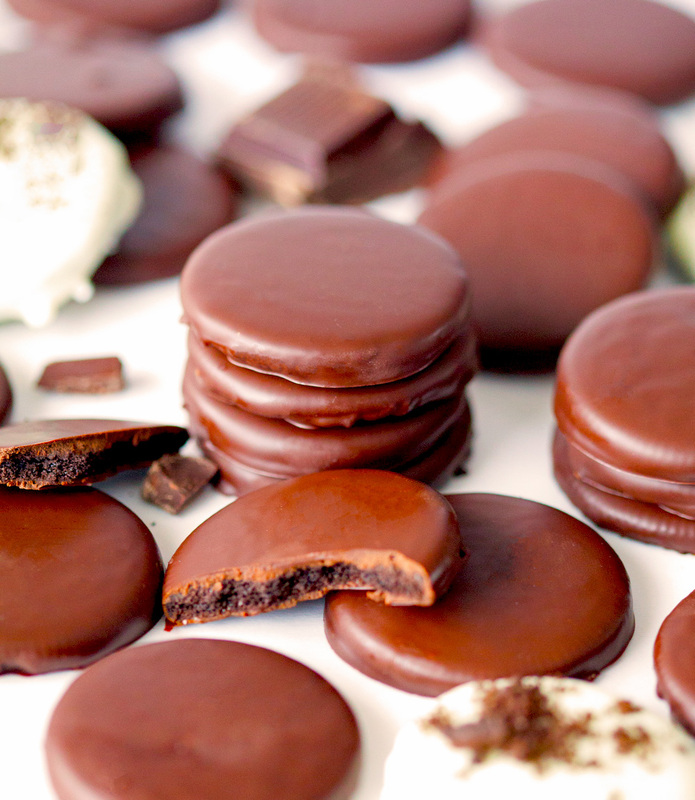 Dark chocolate and mint have always had a special place in my heart. A combination I’ve never been able to get enough of. I can see myself topping various desserts like ice cream with these cute little delights. You might be wondering what to do with the delicious white oreo cream that you won’t be using here. Eating it is the first thing that comes to mind, which would be a great solution. But just in case you’re not into that and don’t like to waste anything like I do, stay tuned for another fabulous 3-ingredient treat tomorrow utilizing the white cream and any leftover oreos. 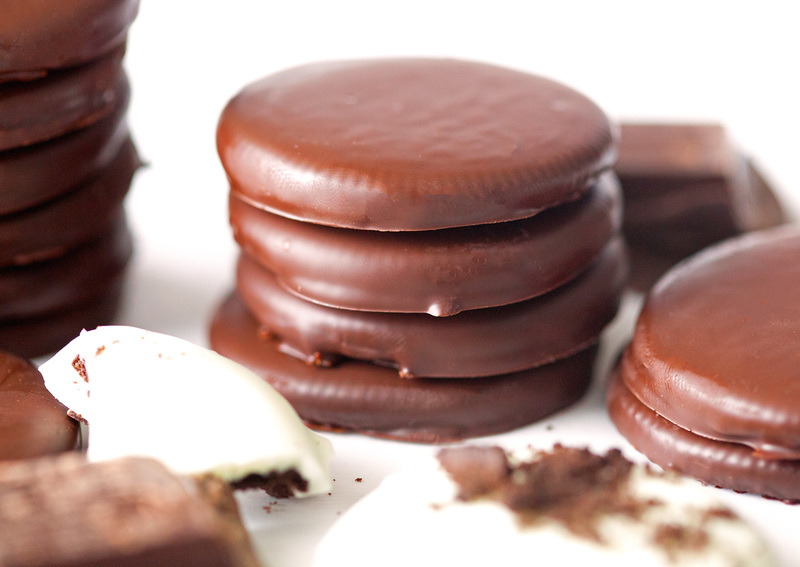 The easiest "homemade" thin mints you'll ever make. You won't be able to taste the difference between these and the originals. 3 ingredients and 15 minutes is all you need! 1. Separate oreos and scrape off the white cream. Line a baking sheet with wax or other nonstick paper. 2. Combine chocolate and peppermint extract in a microwave safe bowl. Heat chocolate until completely melted in 30 second intervals or heat with the help of a double boiler. 3. 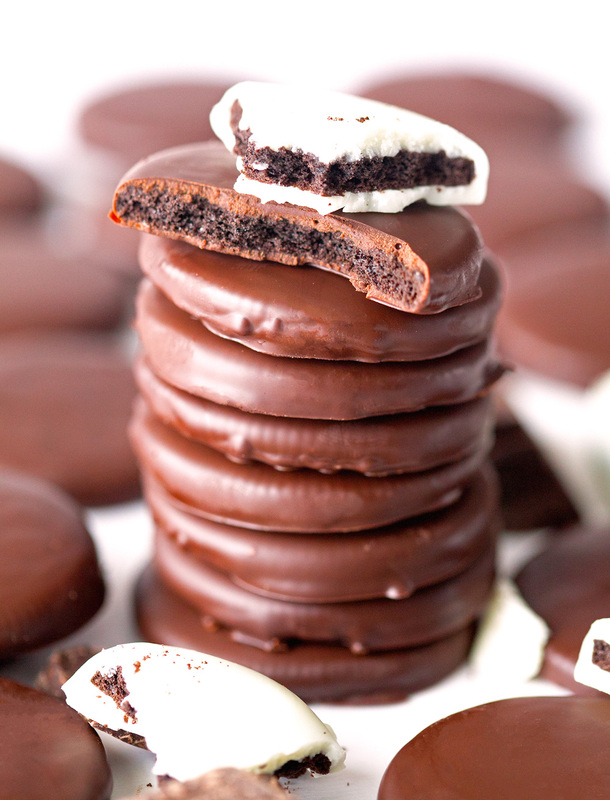 Place one oreo half at a time into the chocolate and flip over with the help of a fork. Once completely coated, remove cookie half from chocolate with the fork and tap it on the edge of the bowl a couple of times (to get rid of the excess chocolate). Place on prepared baking sheet and repeat. Place in the fridge and let set for 15 minutes before enjoying. *Sprinkle thin mints with crushed oreos or chocolate pieces after dipping. Cookies will keep up to 2 weeks in the fridge or up to 8 weeks in an airtight container in the freezer. WHAT! This is genius. I’m so going to try this. 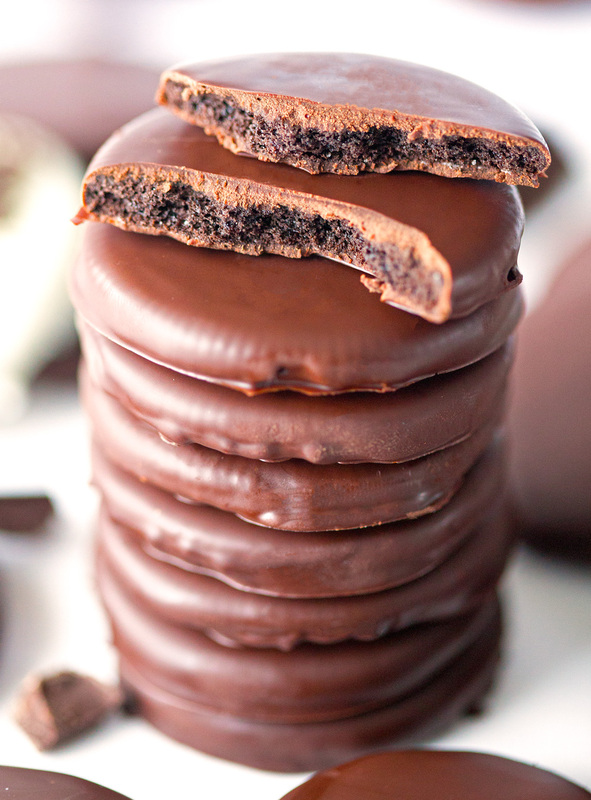 I’ve seen people put Ritz crackers in and call them thin mints and I’m just like oh heck no. This looks way better. New follower! Cute blog! I absolutely agree with you, Karen! I’ve seen people use Ritz crackers as well – while it might be tasty, it comes nowhere close to thin mints. I was so excited to hear from you – thanks for saying hi!! I love these! What a great idea, and I love an easy recipe 😉 Off to pin! … P.S. I’m in love with your photos. Thank youuu! Easy recipes are the best. The pic of your puppy is adorable, btw! How much peppermint do you use? 1 teaspoon or 1 1/2 if you really like things pepperminty. Does anyone have a recipe to use the cream from the Oreos? Seems like a waste to just throw it out? These sound very good & easy! I agree with you, Jill! I don’t like wasting anything, which is why I posted this recipe the following day: http://deliciouslyyum.com/cookies-and-cream-popcorn/. It’s a great way to use up the leftover cream. 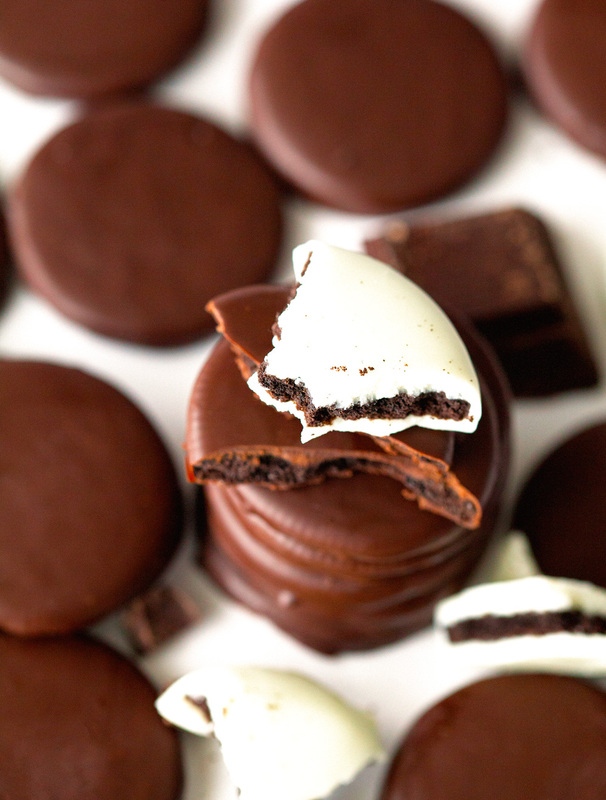 You could also leave the cream on one Oreo half and dip it in the chocolate… I bet that would be tasty, too. Thanks for stopping by! Maybe you could use Famous Wafers (like thin oreos without the cream – used to make Ice Box Cake) instead of oreos and thus avoid the dilemma of what to do with the cream. I have never used or tried Famous Wafers, but it sounds like it could possibly work. If you give it a go, let me know how they turned out! Otherwise, you could always make another recipe that uses oreos or crushed oreo pieces like my cookies and cream popcorn! I am so glad you were able to make it work, Candi! I am jealous of those mint chocolate chips – I am pretty sure I would eat them straight out of the bag and they would never make it into a recipe. Thank you! Fantastic recipe! But as an extra suggestion, there are chocolate cookies out there, made by Nabisco, that are like the Oreo’s, but without the frosting. They are individual, just like the vanilla wafer cookies, and come about 50 in a package. Just an FYI to make this just a tad easier. Hugs! That is a great idea, Toni. I had somebody else tell me about that – will definitely have to try that sometime. Thank you! !